The Jiuhuashan Scenic Area covers an area of ​​120 square kilometers and has a protection area of ​​174 square kilometers. It is the first batch of national key scenic spots and famous summer resorts. It is now a national 5A-level tourist area and a national civilized scenic tourist area demonstration site. It is now known as Wutai Mountain in Shanxi, Putuo Mountain in Zhejiang and Mount Emei in Sichuan. 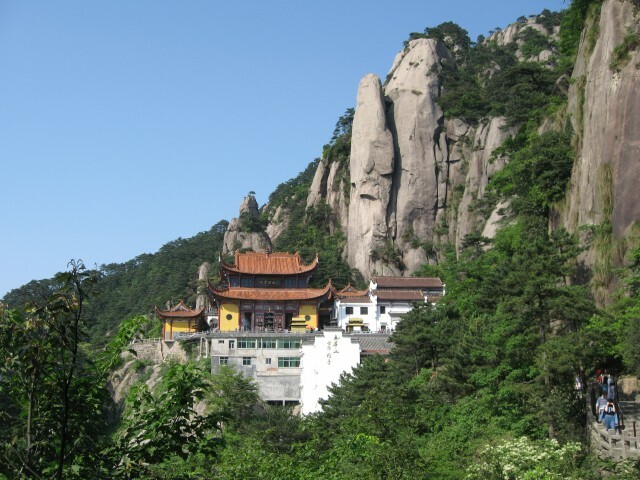 It is also known as the four famous mountains of Chinese Buddhism. Scenic Area is located in Songpan County, Aba Tibetan and Qiang Autonomous Prefecture, Sichuan Province. The main scenic spot Huanglonggou is located at the top of Xuebao Mountain, the main peak of Lushan Mountain. 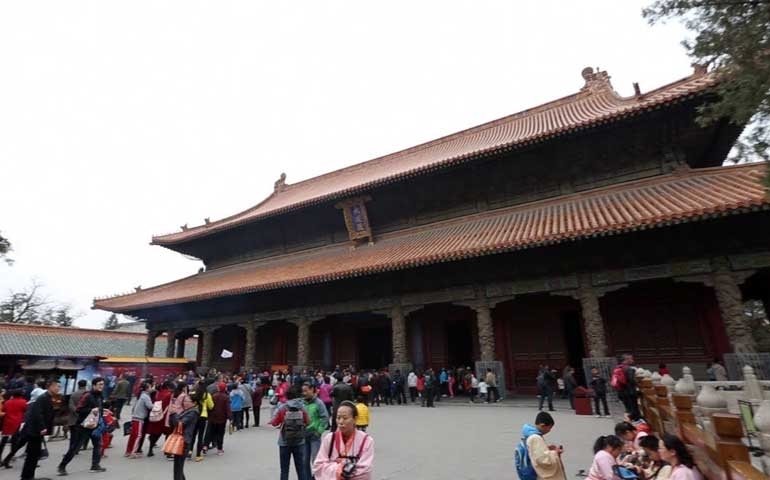 It is named after the famous Huanglong Temple in Foshan. It is a calcified mountain gorge about 7 kilometers long and about 300 meters wide. It is like a dragon, also known as “Zhanglong Mountain.” Known as the “four musts” of pots, snow mountains, canyons and forests, Huanglong is the only well-protected plateau wetland in China. There are many endangered animals in the area, including giant pandas and Sichuan-nosed golden monkeys. 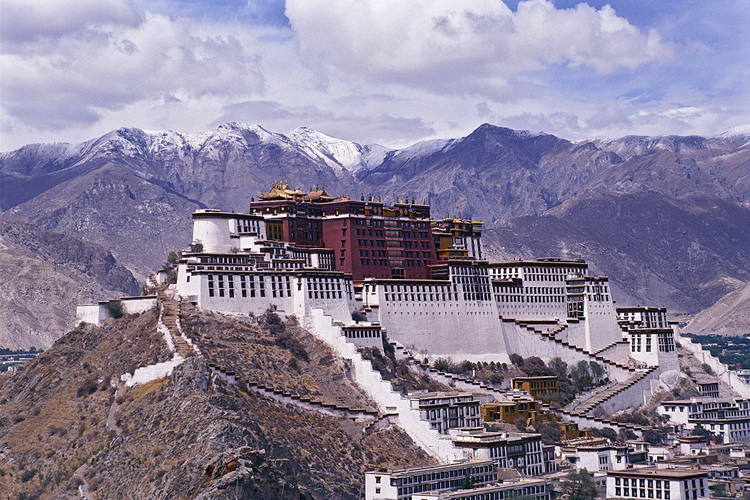 The Potala Palace is located at the red mountain in the center of Lhasa, Tibet Autonomous Region, at an altitude of 3,700 meters. Due to its long history of construction, the national aesthetic features of the building and the study of the Tibetan society’s history, culture and religion. The special value of the world has become a world-famous monument. 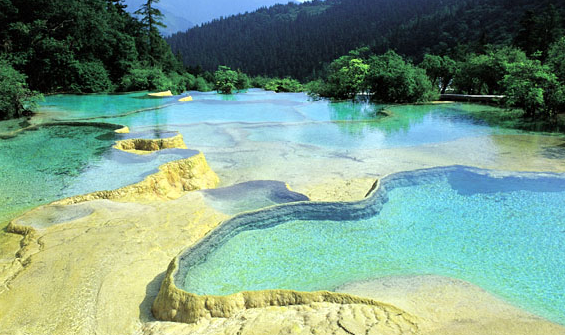 Jiuzhaigou is located in Jiuzhaigou County, Aba Tibetan and Qiang Autonomous Prefecture, Sichuan Province. It is the branch of Baihe River in the upper reaches of Baishuigou. It is named after nine Tibetan villages (so known as He Yao Jiuzhai). Jiuzhaigou has an altitude of more than 2 kilometers and is spread over virgin forests. There are 108 lakes in the ditch, which is known as the “fairy world”. 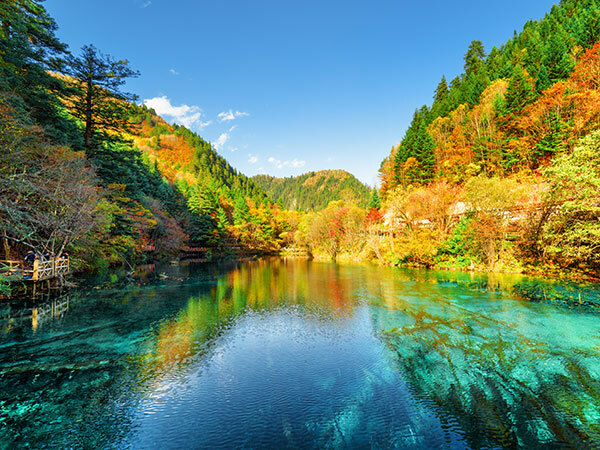 Jiuzhaigou is a national key scenic spot and is listed on the World Heritage List. 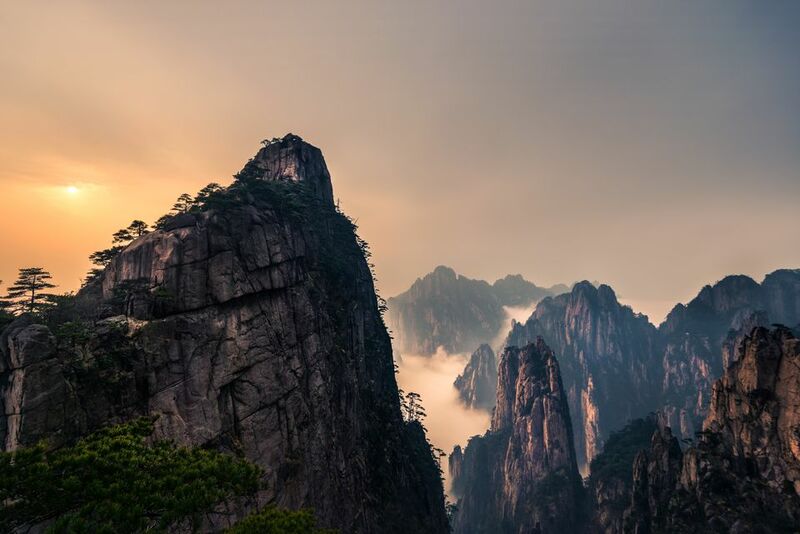 Huangshan, the pride of the sky, the treasure of the country, the wonders of the world, the swan song of nature. She is a world cultural heritage, a world natural heritage, and a world geopark. It is a national key scenic spot in the mountains and is a natural beauty with world significance. Together with the Yangtze River, the Great Wall and the Yellow River, she is a symbol of the Chinese nation and has been hailed by the world as “the paradise on earth” and “the first mountain in the world”. Zhangjiajie is a prefecture-level city in Hunan Province, China. It is located in the northwestern part of Hunan Province, upstream of the Lishui River. It belongs to the hinterland of the Wuling Mountains and is one of the most important tourist cities in China. 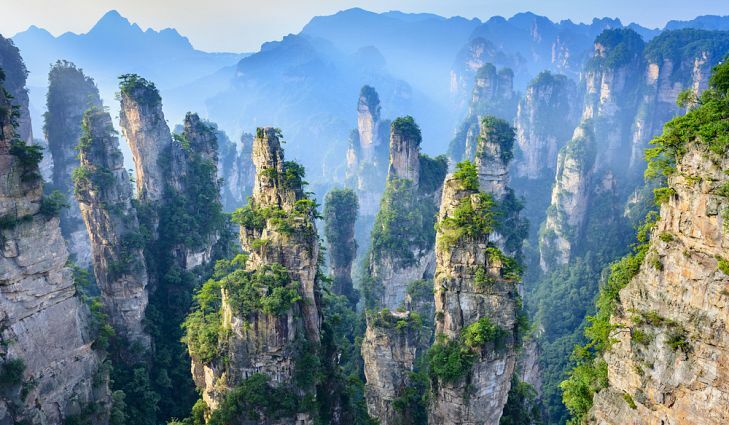 In September 1982, Zhangjiajie became China’s first national forest park. In August 1988, Wulingyuan was included in the second batch of 40 key scenic spots in the country; in 1992, Zhangjiajie National Forest Park and Suoxiyu Scenic Area TheWulingyuan Natural Scenic Area, which is composed of three scenic spots in Tianzishan Scenic Area, is listed by UNESCO as the World Natural Heritage List. Shanghai Disneyland is the first Disney theme park in mainland China. It is located in Chuansha New Town, Pudong District, Shanghai. The park covers an area of ​​116 hectares. 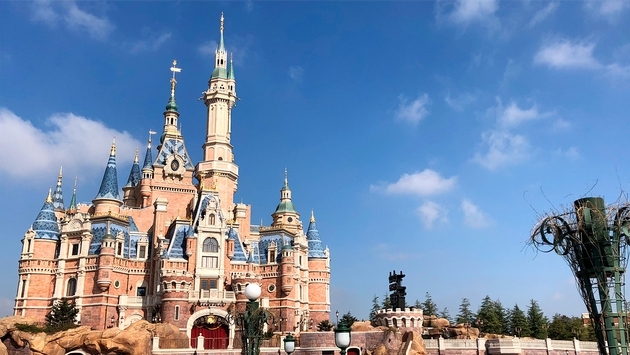 Shanghai Disney Resort is a full-service holiday destination that combines fantasy, imagination, creativity and adventure. It will continue the tradition of the Disney Resort in the world and bring the best holiday experience to the world. From the theme parks, theme hotels, shopping and dining entertainment areas, and the supporting leisure area, enjoy the immersive magical experience of “not only one day”. 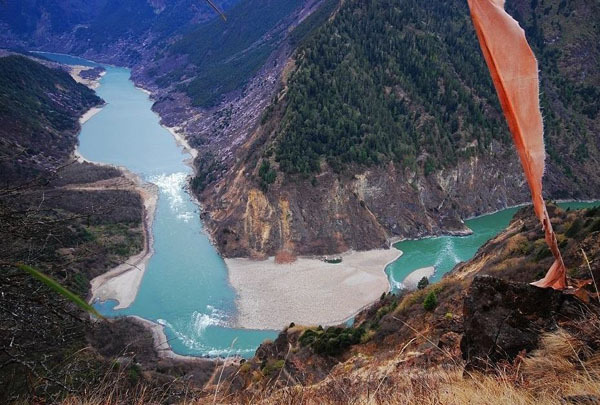 The Yarlung Zangbo Grand Canyon Tourist Area is located in the Nyingchi area in the middle and lower reaches of the YarlungZangbo River. It starts from Bayi Town and passes through the intersection of the Niyang River and the YarlungZangbo River to the Grand Canyon. It is more than 100 kilometers long. With a total length of 504.6 kilometers and an extreme depth of 6009 meters, the YarlungZangbo Grand Canyon is the largest canyon in the world. The YarlungZangbo Grand Canyon is rich in tourism resources, with famous mountain peaks such as Nanga Bawa and Galapai. It has been named the “Top Ten Hiking Routes in China” and has a long tradition. Pull a religious journey. The YarlungZangbo Grand Canyon is the most difficult hiking test route in the world. Hengdian Studios is located in Hengdian Town, Dongyang City, Zhejiang Province, China. Since 1996, Hengdian Group has invested a total of 3 billion yuan to build Hengdian Film and Television City. 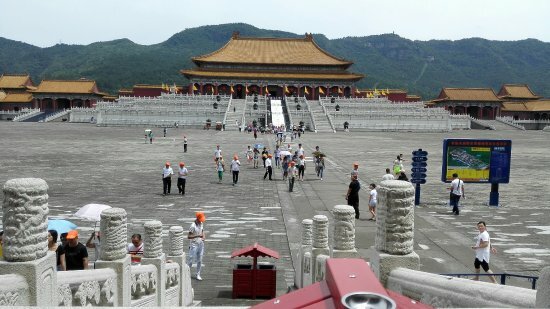 It has been built into Guangzhou Street, Hong Kong Street, Ming and Qing Palace, Qin Palace, Qingming Shanghe Map, Dream Valley, PingyanDongfu, Dazhi Temple, Ming and Qing Dynasties Expo City and other 13 time spans of thousands of years of history, a film and television shooting base with characteristics of the north and south and two large modern studios. It has become the largest film and television shooting base in Asia, and is called “Chinese Hollywood” by the American magazine “Hollywood”. If you are a true traveler, you will definitely love to read, eight best ideas for effective last-minute traveling.